Dr Spio-Garbrah courts media for presidential bid – NPP USA Inc.
Dr Ekwow Spio-Garbrah, a former Minister of Trade in the National Democratic Congress (NDC) government, has asked the media to partner him as he prepares to contest the flagbearership of the Party and recapture power in 2020. At a media interaction in Accra on Wednesday evening, Dr Spio-Garbrah launched his “Forward Agenda,” which echoes his intention to contest the elections to aid him seek the highest office of the land. “This really is not a time of campaigning – it is simply a time to share our message of partnership, stewardship, service, commitment, nationalism and patriotism of sacrifice with all of you. ‘’And to pray that even as you examine us thoroughly in terms of all the things we have done well and the things we have not done so well, when you conclude with your examinations of those who wish to stand before you and offer themselves for leadership of our country through various political parties, you may, hopefully, come to the conclusion that Ekwow Spio-Garbrah is a man who may deserve the support of most Ghanaians to attain the highest office of this land in order to bring us to where we all will like to reach,” he said. He said the Forward Agenda was a grand plan to mobilise the grassroots to enable him to win the race this time, after his initial attempt in 1993 was unsuccessful. Dr Spio-Garbrah said his Forward Agenda conveyed a message of sacrifice and commitment towards developing Ghana. The Agenda, he said; "Is not one that can be led by just anybody. It is not just a matter of your talents, it is not a matter of the nature of your educational attainments or your financial capacity, it is the motivation in your spirit, which is very difficult to measure." He said the primary focus of public services or politics was not about making money or amassing wealth for oneself or for one’s family but about service, and that was why Ghanaians were often seen rejecting all those public servants in their electoral decisions. “So I’m just saying that this Forward Agenda that has been established to carry the message of sacrifice, of stewardship, of partnerships with many stakeholders and with commitment to the development of Ghana and Africa is not one that can be led by just anybody. “My exposure, experience and reputation in various capacities, both locally and internationally, makes me a better person to lead this Party and subsequently lead the country in the future and lift up the nation to a level that had never been attained, but is attainable. “It is for this knowledge that I have been privilege to experience and to observe and to see at first hand …that should you wish to give me the opportunity to lead this party and hopefully to lead this country, that I know what it takes and what to do to solve most of the problems we talk about in Ghana,” he said. Brigadier General Joseph Nunoo Mensah, a Former National Security Adviser under the Mahama Government, urged the media to be truthful in their reportage and also ensure that they informed the people about the real happenings to enable them to make the right decisions and choices in life. 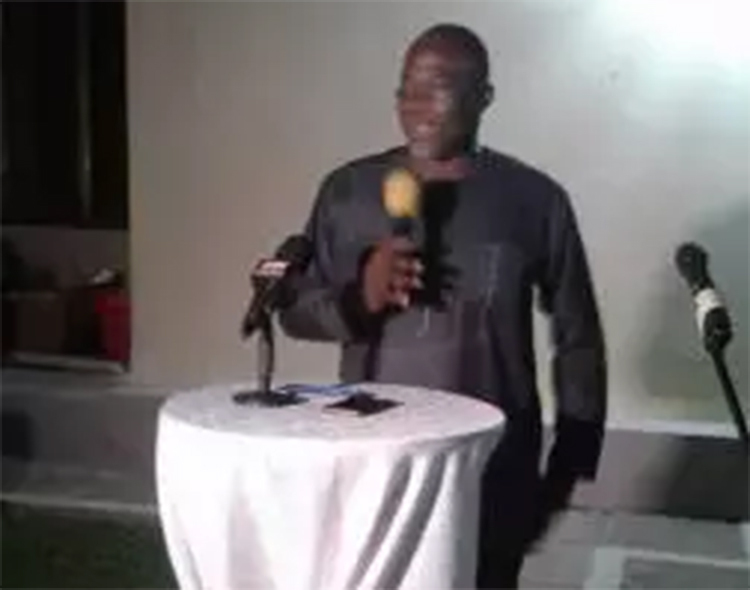 Dr Kwame Amporful, the Former Chief Executive Officer of Tema Oil Refinery, urged the media to rally behind the Forward Agenda to promote democracy. Mr Ransford Tetteh, the Managing Director of Graphic Communication Group Limited, urged journalists to be fair, accurate and objective in their professional practice even when they believe in a certain course or conviction. Meanwhile the NDC has started a reorganisation drive following their defeat in the 2016 Election. The Party has indicated that it would elect its presidential candidate for the 2020 Election by the close of 2018 as the NDC Constitution stipulates that a flagbearer should be elected two years ahead of elections while the Party is in opposition.